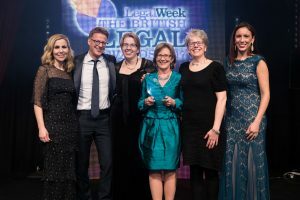 ARC Pensions Law is delighted to have won Specialist Law Firm of the Year at this year’s British Legal Awards. ARC has been recognised for its legal expertise and innovation, strategic vision, client care and employee development, demonstrating a new kind of pensions law firm; open, agile and fit for today’s market. ARC was nominated alongside other commendable specialist law firms, including Signature Litigation, Hughes Fowler Carruthers and Hickman & Rose. More on ARC’s win can be read in Legal Week and Yahoo Finance.